Some dramatic photographs have just been posted on the Press and Media Image Library of the UK's Science and Technology Facilities Council (STFC). 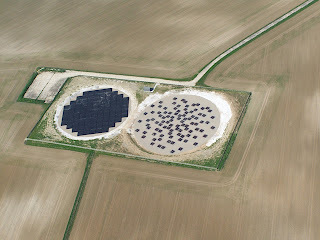 These show the LOFAR station at Chilbolton, Hampshire, UK, as seen from the air. 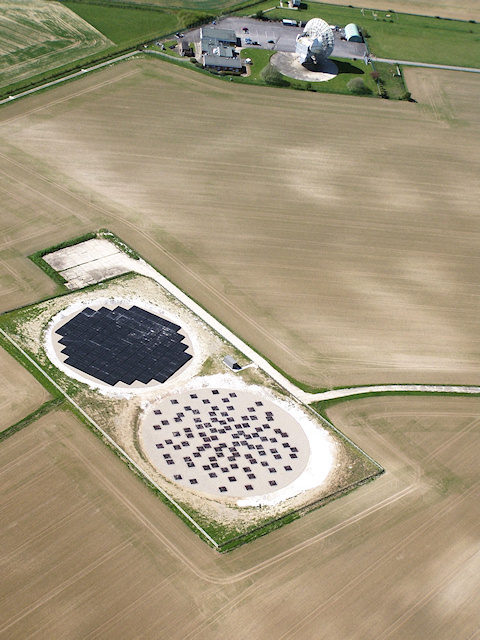 Although there are plenty of photographs of various LOFAR stations from the ground, and plenty of diagrams showing the layout of the sites, this is a good opportunity to get a bird's-eye view of what a station looks like. The credit for all these images goes to Guy Gratton, who took the photographs during the afternoon of Friday 8th April 2011, and who graciously gave permission for their use by the STFC/LOFAR community. 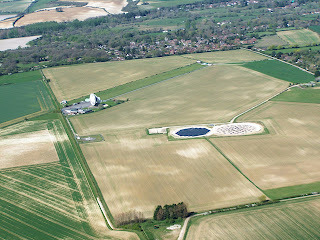 The images were taken from an aeroplane flying at an altitude of approximately 300 metres (1000 ft) over the site, through an open door on the aircraft to avoid any window reflections. 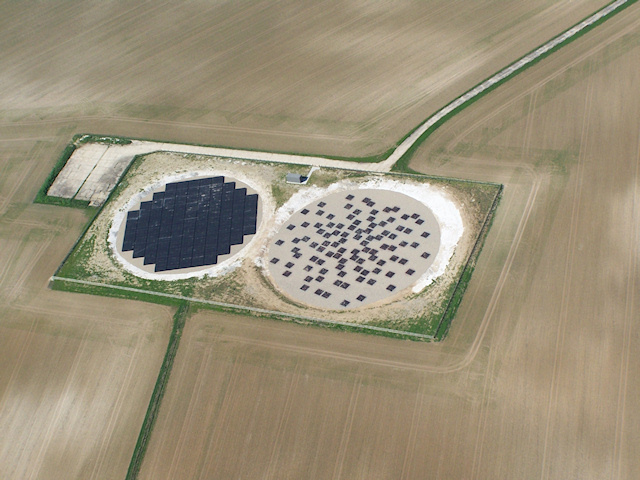 The LOFAR-UK site, as seen from the air. 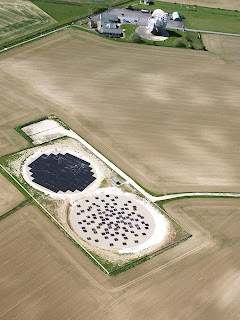 The above photograph is a great way to appreciate the scale of an international LOFAR station. The dish near the top of the photograph is the 25m parabola of the Chilbolton Observatory. 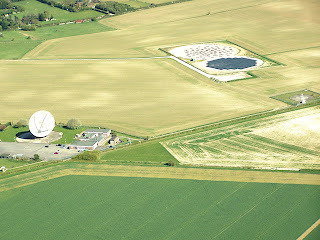 Check the STFC's Press and Media Image Library for all high-quality photographs of the LOFAR-UK station. You can also find full-resolution versions of some of the above photographs, suitable for use in printed media. Thanks goes to the Chilbolton Observatory and UK608 project teams, the RAL-Space outreach team and, of course, Guy Gratton for the great photographs.